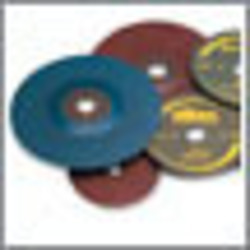 Leading Manufacturer of Coated Abrasive Discs, Cloth Discs Abrasive, Paper Discs Abrasive, Coated Abrasive Belts, Coated Narrow Abrasive Belts and Coated Wide Abrasive Belts from Mumbai. Grindwell Norton offers the widest range of Fibre, Paper, Cloth and Film backed Coated Abrasive Discs for portable tools. Be it a disc for Rotary Grinder, Dual Action Sander on portable machine or Hand Sanding, Grindwell Norton has a product for every application and performance category. Grindwell Norton offers a wide range of PSA (pressure sensitive adhesive) and Speed-Grip (Velcro) backed cloth discs that are used in a wide array of applications across several industry segments. Grindwell Norton offers the following range of world–class PSA (pressure sensitive adhesive) and Speed-Grip (Velcro) backed paper discs. Grindwell Norton offers the widest range of Coated Abrasive Belts for the industry. Be it a narrow belt for a portable machine or a large wide belt for stainless steel coil finishing, Grindwell Norton has a product for every application and performance category. Grindwell Norton offers the following stock products to meet wide belt needs in the woodworking and metalworking industries. Grindwell Norton offers the following paper backed rolls to meet the needs in the woodworking, leather and metalworking industries. Grindwell Norton offers a range of speciality products to meet specific grinding requirements of fabrication and other industries. Grindwell Norton offers a range of accessories to suit popular machine sizes and optimize performance of Norton and Grindwell Norton coated abrasive products.